Scientific Sales, Inc. has a large selection of Davis weather station parts, equipment, and accessories. Whether you are looking to buy an additional console display, Davis Vantage Vue software, a wireless weather repeater to improve station reception, additional weather station software to analyze data, or a variety of other fun and exciting accessories for your station, we have the equipment and expertise to help you get the most out of your weather station instruments. Adding new accessories and parts to your Davis Instruments Vantage Vue weather station, allows you to customize your station based on your needs. Explore our selection of Davis weather station equipment to find what works for you! Have a question or found a lower price? 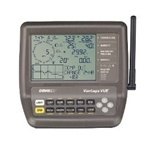 Contact us about Davis Instruments Vantage Vue software or Davis weather station parts and we’ll beat any competitor’s price.